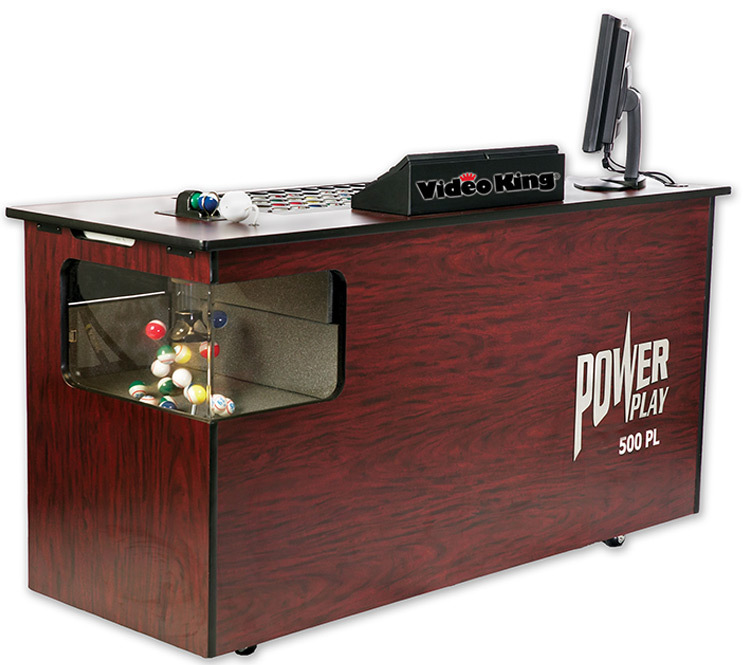 Video King’s PowerPlay 500™ is the most affordable, full-featured bingo console on the market. 15-inch monitor with built-in speakers. Ability to verify all known perms. Ability to save and store sessions. Programmable timer with visual and audible signals. Automatic prize calculations when multiple winners. Compatible with Video King’s 90-number flashboard. 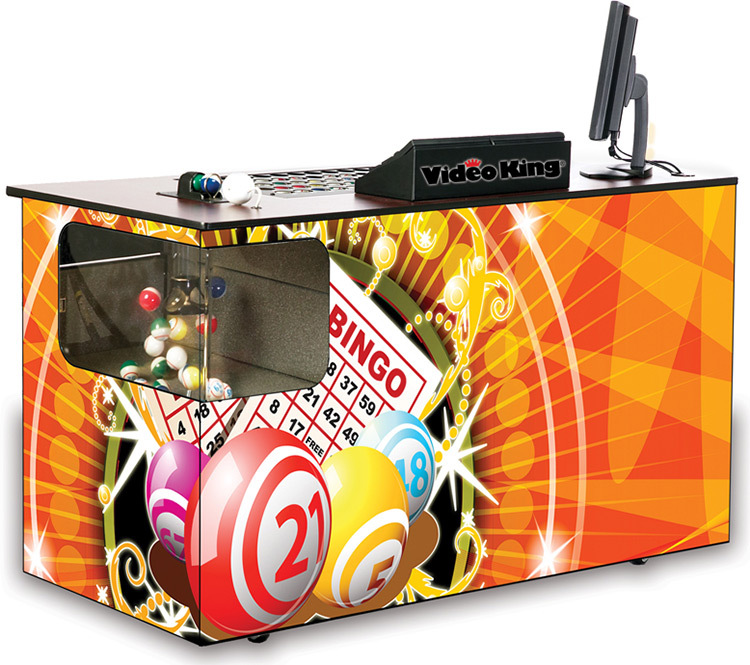 Compatible with the OMNI™ bingo management system, the e-BOS™ gaming systems, including our fixed-base systems and full line of handheld bingo devices. 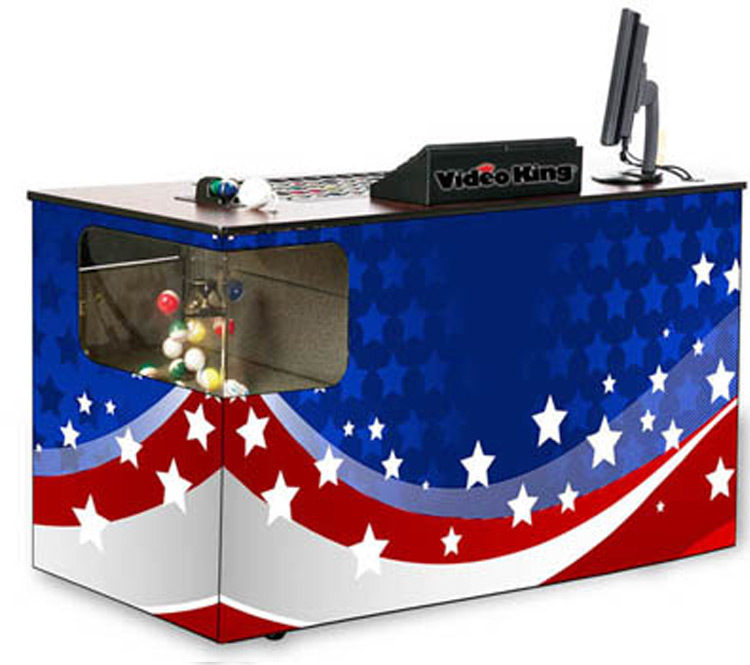 Compatible with Bingo Racing software. Integrated presentation software for “in-hall” advertising. Single “F” key operation for ease of use and speed of operation. Advanced Windows®-based PowerEdit game program editor. Remote access software for program changes and troubleshooting. Built-in verification of known bingo perms. Supports complex pattern definitions, including multi-level and multi-card sheet patterns. 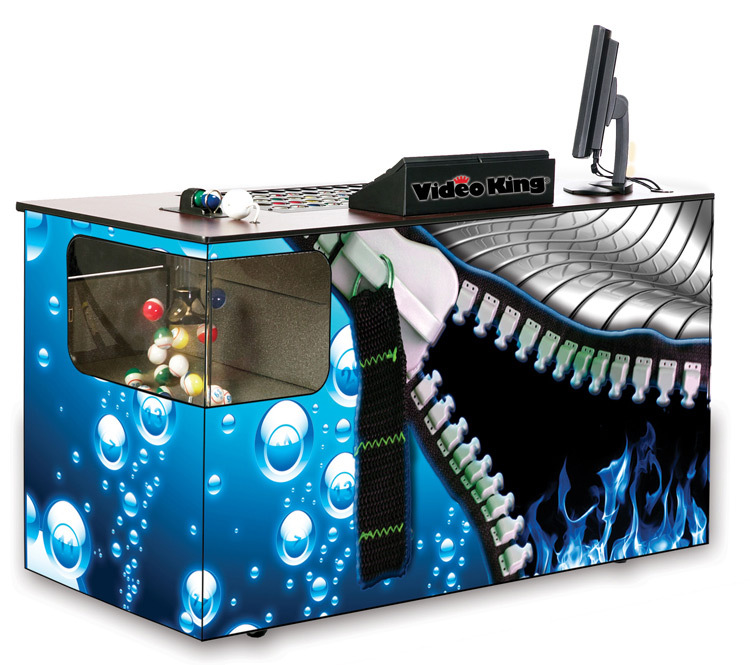 Compatible With Video King’s TriplePlay™ hi-deifinition flashboards. Two “B” Data outputs. Two Payout Data outputs. Two Bonanza Bingo “R” Data outputs. Supports Video King “B” Data Flashboards, including our 4,000, 6000, 7000, 7500, 7600 and Multimedia Flashboard Series. One parallel port for connection to approved printers. One RJ11 modem jack for remote service dial-up connection. One JR45 Ethernet port for connection to local area network. Two RCA line level audio inputs for audio mixing and multimedia capabilities. Two RCA line level outputs for connection to hall audio system or monitor speakers. One 1/4 inch microphone input jack for caller audio equipment. One ATI video graphics card for crystal clear caller and hall video displays. One NTSC video output for connection to hall video equipment displaying live ball image and switching to card verification image. 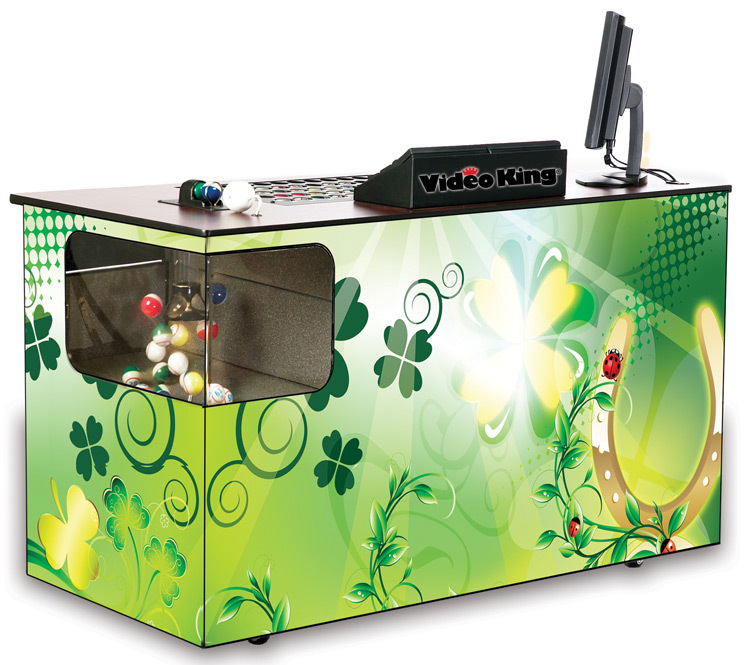 Fluorescent light ball chamber for maximum clarity and ball action view. Multiple accessory, 120-volt AC outlets. “A” Data signal translator for connection to “A” Data style flashboards. Available in Models: 500, 502,503, 504.